Last week, we read about worshiping of Ravan as Mahatma Ravan in temples honouring him. As I mentioned earlier, in this, he is not alone. Duryodhan, the ‘villain’ from the epic Mahabharata, too enjoys similar adulation in certain parts of the country and he too is worshiped in temples that have come up in his honour and some of them exist since long. In the ‘har-ki-doon’ valley of the The Jaunsar-Bawar region in Dehradun, is a place where Duryodhan is worshipped. It is said that during the dvapar yuga (the period of Mahabharata which ended with the ‘death’ of Lord Krishna), Duryodhan arrived at this place and was impressed by the natural beauty of the region. He requested the local deity, Lord Mahasu, for a piece of land for himself near the mountains of Himalaya, which the deity agreed, with a condition that he would look after the locals of the region. Till date the locals believe that the region is controlled by Duryodhan Maharaj. Some people believe that he passes his orders through his spirit which visits certain people in the village, and the orders are followed as a must. One of the villages by the name of Jakhol has a temple where an idol of Duryodhan is installed and it is taken out in processions during certain periods of the year. The region of Mori in the same area, not only has an ancient temple dedicated to Duryodhan, but also has few temples in honour of the other Kaurava princes, Karna and King Shalya, all supporters of Duryodhan! It is interesting to note the region is also a contradiction of sorts, as one of the peaks is known as “Swargarohini peak” i.e. the gates to heaven. This is the region which the Pandavas had trekked and ascended to the heaven through the peak! It is said that after death of Duryodhan in the battle of Kurukshetra, the people of the region wept so much that the tears became a river, known as Tamas, locally also known as the river Toms. Till date, people of the region do not drink water from the river, as they feel that the tears still flow in the river! 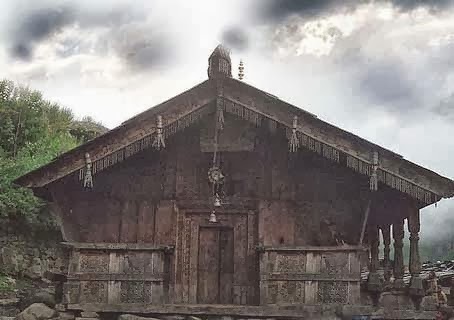 Finally and probably the most important temple of Duryodhan is said to be the Peruviruthy Malanada Temple in the Kollam district of Kerala, India. The region also has other temples dedicated to the other Kauravas, their sister Dusshala, mother Gandhaari, Shakuni, Karna and Bhishma and Dronacharya, but none of the temples have any idols. There are just platforms where the idols should have been. There is an interesting myth associated with the origin of the temple. According to this myth, during the exile of the Pandavas, Duryodhan set out to look for them and he traversed right up to the Malanada Hills in South. Duryodhan was very tired and thirsty and saw a woman drinking something and asked for water. The woman was drinking a local toddy and without realizing gave the same drink to Duryodhan who too drank it. As soon as he finished drinking, the lady realized that the person was of royal origin and around the same time Duryodhan realized by the dressing of the woman, that he had taken the drink form an untouchable tribeswoman, from the Kurava tribe. While the lady was shivering from fear of royal retribution, Duryodhan was glad at the woman’s selflessness to offer him her own drink. Duryodhan pacified her that he was not angry and as part of his royal duty donated about 100 acres of land to them for cultivation. Since then, the priests in the temple of Duryodhan, built in his honour, and other Kuarava family have been from this untouchable Kurava class and the people till date venerate the ‘villain’ of the epic Mahabharata, Duryodhan. It is not surprising to note that toddy is an important offering in the temple!! It is interesting to read about such myths as they bring out the other side of the villainous characters of such epics. Such myths in Mahabharata goes on to highlight the fact that certain characters were not absolutely negative in nature, but only had certain negative personality traits. While Duryodhan might have been a villain in general, fanned by his uncle Shakuni (who had his own justification for the villainy This is Utkarsh Speaking: Shakuni ), his ability to overcome a caste-bias was obvious in the way, he anointed Karna as the King of Anga. The above mentioned myth too goes on to prove the same thing, his attitude towards the lower caste people, especially in times when caste was the most important aspect of an individual. A recent article in Times of India, after Dussehra, is the raison d'etre of this article. The said article referred Ravan, the villain of the epic Ramayana, as ‘Mahatma Ravan’ and projected him as the savior of women and the ‘protector of the Nirbhaya’s in the country’ (Read the full article - Ramlila refrain: Only Ravana can save Nirbhayas http://articles.timesofindia.indiatimes.com/2013-10-14/chandigarh/43025513_1_effigies-martyrdom-day-dussehra ). For those who might not want to click on the link (! ), the article went on to list a host of cities in Punjan abd Haryana, which traditionally observed the day of Dussehra as the day of Ravan’s martyrdom and even mentioned how Ravan ‘protected’ Sita when she was in his custody. While there seems to be a contradiction in the acts of the worshipers of Ravan, such contradictions are not absolutely out of place. While majority burn the effigy of Ravan, as a sign of the victory of good over evil, there are many who see him as a hero. While many feel that his pride and arrogance was his hubris, he nonetheless had much to be appreciated for. (Read more on Ravan Ravan - Part 1 ). In Ramayan, Ravan is pitted against Ram, a character created to depict what stood for everything right, a maryada-purushottam, a man amongst men. Ram was the vision of the author who created an embodiment of all the virtues in an ideal man, be he a son, brother, husband or a King. The negatives were all bundled in his main adversary, and in this case, Ravan, which was more to highlight the grave differences between the two adversaries. While the article does sound a trifle oxymoronic when it says that Ravan ‘protected’ Sita in ‘custody’, it is not absolutely wrong when it says that women in Lanka under ‘Ravan-raj’ or the rule of Ravan were safe. Many might challenge this, by saying that Ravan was a confirmed womanizer, though there aren’t too many episodes to prove this except his violation of apsara Rambha, after he was smitten by her looks. It was after this violation, that he was cursed by Lord Brahma, that if he ever violated any other woman, his head would burst, and this was considered to be the main reasons for Ravan not violating or even hurting Sita. Some versions also state that he could not do so, as Sita was his daughter (Read more in Ravan – Part 2 ). So could Ravan be considered to be the role model for being the savior of Nirbhaya’s of India? In spite of Ravan being one of my personal favorites, this choice is a bit far-fetched. A person, who lives in a world of his own, and believes in the theory of an eye-for-an-eye and risks the entire country for a personal issue, could not be considered to be the savior of Nirbhaya’s of India. While he might have kidnapped Sita to avenge his sister’s mutilation, waging a war and risking the entire nation for the same was not a very sensible thing to do. It was nothing short of a political suicide for an able and intelligent administrator like him. Call it a defect in his character, but it did lead to his downfall and immense loss to the nation. Many known ‘villains’ of epics have followers in the modern day, Duryodhan of Mahabharat, being one of them. There are a number of temples dedicated to Duryodhan, in the region of Uttaranchal and even in Kerala. While we will discuss the logic of such temples in these locations on some other day, it is important to understand that such temples co-exist with the temples of the heroes from the same epics. Some of the temples have their genesis in the politics of the later days, and the oppression of certain classes. It is also important to note that while the villains are being worshiped in some places, the heroes are not criticized in the same places. This could be due to the lack of clarity in the exact position of the followers of an ‘alternate’ faith, or their inability to tackle the onslaught of offending the mainstream faith. Again, a religious-political issue. While debates will always be biased one way or the other when we judge such characters, it would be unwise to debate on the basic premise on which such epics have been written. A few temples of Ravan or Duryodhan do not make them worth worshiping at altars, even if some of them have been wronged at some point of time. 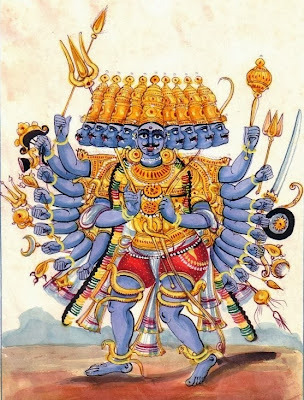 I am in no way suggesting that the heroes of the same epics are more worthy of being ‘worshiped’ in the traditional sense, as against the known villains, but worshiping of these can only be seen as biases which have gone beyond reason. 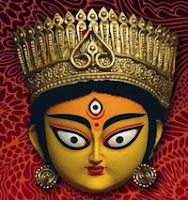 An interesting aspect of Durga Puja, is the status it accords to women or girls. While we understand that the festival has a huge relevance to the feminine principle in general and also stands for the feminine spirit and power, the festival has its relevance to the women folk even in the social milieu. While the times have changed and the outlook might not hold ground in today’s times, it is still in context that we need to see this aspect. Bengal has traditionally always accorded an elevated status to women folk. A case in point is the number of festivals around goddesses like Saraswati, Durga, Kali, etc. These goddesses have an edge in comparison to other gods like Ram or Krishna, with a slight exception of Lord Shiva. Durga Puja which is one of the main festivals of the Eastern India, also focuses a lot on the feminine aspects be in the form of Kumari Puja (This is Utkarsh Speaking: Kumari Puja ) or getting clay for the idols from the marginalised section of the society (This is Utkarsh Speaking: Clay for Durga Idols ) or the numerous rituals which are centred around women. But here, let us look at a social angle to the festivities. One of the aspects of the festival of Durga Puja is that Durga returns to her parent’s home for a few days along with her children, Saraswati, Lakshmi, Kartik and Ganesh. Many a folk song’s theme is about the tough life of Durga at her husband’s home with so much work, four children and an inattentive husband who seldom comes home, and who is engrossed in meditation or smoking hemp. Besides all this, Shiva’s lack of confirmation to social norms is another sore point in the marital life of the goddess. From a tough cold life of her husband’s house, she comes to the warm climates of her parent’s home to all the attention and love that parents shower on their daughters and her children. At her parents’ home, she gets all the warmth and comfort that is missing at her husband’s home and even if it is for a few days, she enjoys the attention and love. In the ancient times a girl had to undergo hardships at her in-laws house, due to the pressure of household chores and numerous other expectations that the in-laws had from her, both in the social context as well as support at homes. The girls who were married off at a young age ended up becoming support-systems at their in-laws which were bereft of any modern-day amenities. In such a scenario, she would be subdued and at the beck and call of all elders in the family, more so the mother-in-law, along with the need to take care of her own children. The girl needed a break from all this. During Durga Puja, traditionally women along with their children would return to their parent’s home where they would be treated well and showered with attention and gifts and the much needed rest. After the festivities are over, the girl leaves for her in-laws home for another year of hardship and toil, just as Devi Durga leaves her parents home for her husband’s, after Bijoya Dashami. Parents feel sad to see their daughter leave and even today, many a woman is seen weeping during the immersion of the Durga’s idol. While many celebrate the Durga Puja as the killing of Mahishasura by the goddess Durga, some see it as a time to shower love and attention on their daughters who do not get the same attention at their husband’s home. An immensely relevant social custom of the times woven with mythological and religious sentiments is the way to see this aspect of the festivities. Times might have changed, but the social context could just be relevant even today in certain sections of the society. With this we come to the end of Durga Puja. Here's wishing all my readers a happy Dashera & Bijoya!!! This is Utkarsh Speaking: Durga – A Feminist Icon? During Durga Puja, one of the most important ritual on Mahasaptami, or the seventh day, i.e. today, is the bathing of the Kala-bou or the banana-bride. On this day, a small banana tree is taken to the river Ganga, and given a ceremonial bath. The tree is then draped in a white saree with red border, with some sindur or the vermillion powder applied on its leaves. Thereafter, the tree is kept on the right side of the idol of Ganesh, implying that she is the bride of Lord Ganesh. 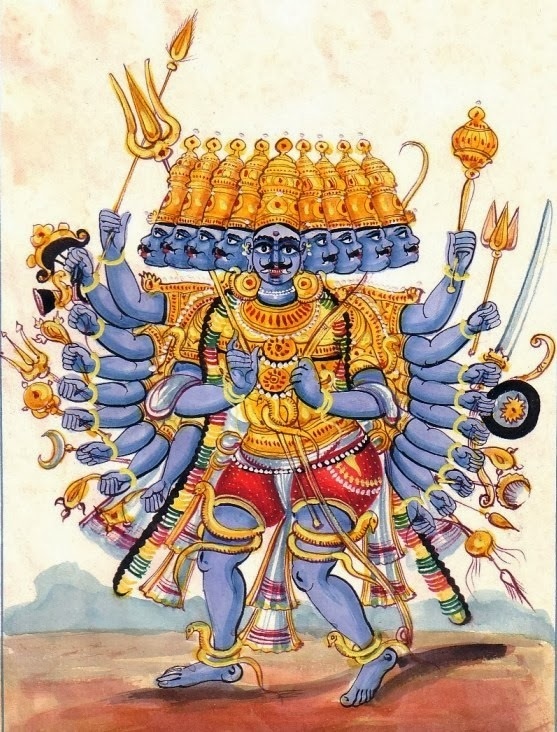 Each of the above also stand for different forms of goddesses, like the banana tree representing Goddess Brahmani, turmeric tree representing Durga, wood apple tree representing Lord Shiva himself, the pomegranate tree representing Raktabija, Arum plant for Chamunda, rice for Lakshmi, Ashok tree for Sokrahita, the colacassia for Goddess Kalika and the Jayanti for Kartiki. 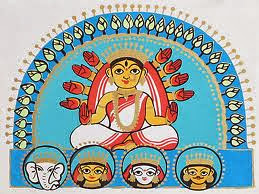 All the goddesses are different forms of the Goddess Durga. Needless to mention, that each plant/tree has its significance in the day to day life of a common man, either in the form of staple diet, or as a spice of as part of medicinal plant. nature in a complex vegetative state. According to a scholar the plant symbolises the “festive enactment of Durga’s return of the blood of the buffalo demon to the earth so that the order of the world be re-established and luxuriant vegetation appear.” As far as placing the Nabapatrika next to Lord Ganesh’s idol is concerned, it can be surmised that the same is due to Lord Ganesh being credited to be the creator of eighteen medicinal plants, for which he is known as Astadasausadhisrsti. Many also feel that the worship of Kala-bou in the form of Nabapatrika might not have anything to do with Lord Ganesh at all. It could just have been a local or a primitive practice of worshipping the Mother Earth for a rich harvest and with the popularity of the Durga Puja, this ritual was assimilated in the festivities. In the absence of idol-worship, the Nabapatrika was the symbol of Mother Nature herself. Autumn or sharad-ritu was also the season for reaping crops and the peasants worshipped the Nabapatrika for a rich and bountiful harvest. As far as the placement of the Kala-bou is concerned, since Kartik was a confirmed bachelor, it was logical to place ‘her’ next to Ganesh! In fact, the worshipping of Nabapatrika in its original form is still prevalent in some parts of Eastern India. Finally, to conclude, here is an interesting folktale related to Kola-bou. According to this tale, the wedding procession of Ganesh had not gone very far from home, when Ganesh remembered that he had forgotten something. On returning, he found his mother Durga eating bowlfuls of rice and gorging herself. Ganesh found it odd and asked his mother, as to why was she gorging herself. To this Durga is supposed to have said – “Jodi tor bou aamaake khete na dai? (What if your wife did not give me enough food to eat?). 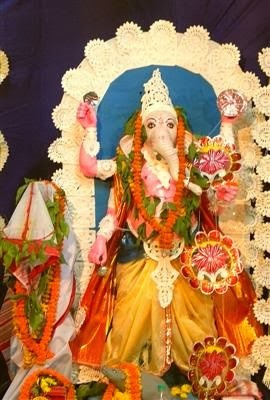 Hearing this Ganesh was upset, he stepped out of his home, cut a banana tree and gave it to her saying “etai tomar bou (this is your daughter-in-law)”. Later, Ganesh was married off to the banana tree and thus the name Kala-bou, or the banana bride. Interestingly, till quite some time back, in rural Bengal many mother-in-laws would be in a perennial fear of not getting enough food when their new daughter-in-laws came home, and tried to wield more authority on their sons. An interesting folk tale with mythological connotations, where the food has always been a source of trouble!